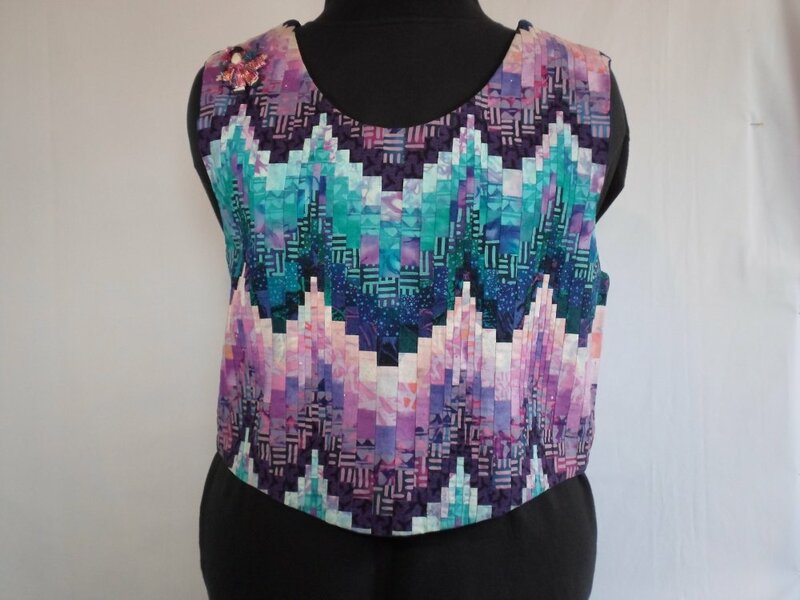 The Wisteria Pop Top is a neat, uncluttered pullover vest alternative to be worn over a shirt. The flattering curved hemline falls just below the waist. Learn Jennifer Amor's technique for sewing accurate 1/4" bargello on a freezer paper foundation (not included in pattern). The bargello design is identical, front and back. Skill level: intermediate. Pattern includes sizes 8 to 18.